Fashionista chatted with Millward Brown Optimor director Pierre Dupreelle, who worked on the list. Dupreelle explained that while the luxury category was down overall by 3%, it&apos;s still an exciting place to be. Brands like Burberry and Prada--which didn&apos;t make the top ten this year--made strides in digital marketing. What&apos;s more, brands like Louis Vuitton and Hermes actually did better than last year. Why is that? Well, brands that focused on heritage and history instead of high fashion did better. Louis Vuitton&apos;s travel campaign, Gucci&apos;s appraisal partnership with Christie&apos;s and Hermès&apos; sponsorship of a horse competition in Paris served them well. "They&apos;ve been very quick to respond and recenter their brand positioning." Louis Vuitton&apos;s focus on its heritage as a travel brand helped it to retain its core customer--the jet setter. The majority of Hermès is still family-owned (71% is family; 29% is public shares), which means it has the luxury of taking risks when it wants to and staying the course when it doesn&apos;t. For instance, the company--which also owns shoemaker John Lobb--chose at the end of 2009 to buy Shang Xia, a new brand based in China tailored to the Chinese consumer. What&apos;s more, not only does the company charge far more for its handmade leather bags than its competitors, it also keeps tight control on who can sell those bags. 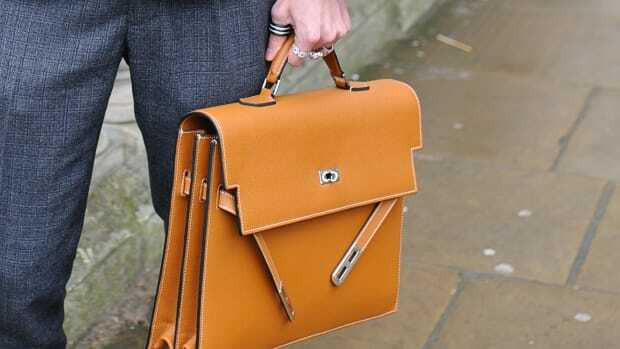 (That&apos;s why you shouldn&apos;t find Hermès leather goods anywhere but its own retail boutiques.) This year, the firm also chose to focus on its heritage, sponsoring a horse competition in Paris. 3. Gucci Last year&apos;s ranking: 3 Overall Brand Value: up 2% to $7.59 billion Gucci&apos;s partnership with Christie&apos;s--in which the firm appraises vintage Gucci luggage and handbags--gave it a one-up on its competitors. Now, the PPR-owned luxury goods maker has a tighter control its secondary market. Chanel&apos;s dip in brand value is a sign of the times, according to Millward Brown Optimor director Pierre Dupreelle. During the recession, consumers turned to more practical products. While Chanel still attracted many with its classic quilted bags, cosmetics and fragrances, those determined to buy just a few investment pieces stayed away from the ready-to-wear. However, Dupreelle feels that consumers are looking for some newness in 2010, which Karl Lagerfeld always brings to the runway. He predicts the fashion house will see an uptick over the next couple of years. This LVMH-owned cognac brand is ultra popular in China. Rolex, along with many other high-end watch and jewelry makers, suffered greatly throughout the recession. While it&apos;s not as strong as it once was, Moët is still the top champagne brand. Cartier&apos;s dip in sales affected its ranking. The Richemont-owned brand reported lower sales through its own boutiques and a more severe decline in sales to third party retailers. Fendi, which is pretty much only known for its string of hit "It" bags here in the US, has an incredible presence in Asia. 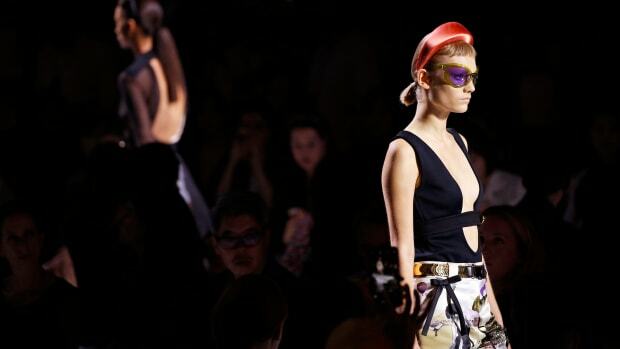 LVMH is aiming to position the brand, whose ready-to-wear line is designed by Karl Lagerfeld, as its answer to Gucci. While Tiffany didn&apos;t even rank on last year&apos;s list, the brand was heralded in 2009 for its refusal to discount, as well as its plans for expansion in both Asia and Western Europe. From Nike to Prada, see which brands get the most mentions, and the most followers. You'd be hard-pressed to find a fashion label that doesn't have at least a speck of a social media presence. But some brands are better at navigating this still-new space than others. To that end, social media-focused marketing firm Dachis Group has ranked the 15 brands that are doing the best job. Dachis tracked the real-time social activity—audience growth, engagement, advocacy, and "message propogation," aka the ability to get your news to spread around the web like wildfire—of 60 global apparel brands. Did your favorite make the cut? Click through to find out.